Benjamin Binns, Dave Molyneux's (in the foreground) teammate/passenger, 2nd place. 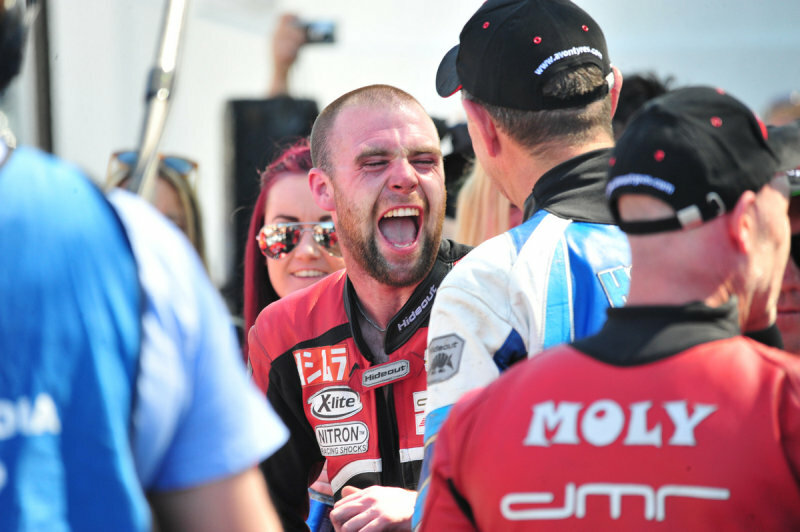 ... Update: Earlier today, June 4, 2016, Binns was injured while riding with Dwight Beare in the first of two TT Sidecar races at the 2016 Isle of Man TT event. Dwight died of his injuries, and Binns suffered ankle fractures and other injuries, but is expected to recover. Their sidecar crashed at Rhencullen.